contact DaShanne Stokes. Here's how. Dr. Stokes' work relies heavily on reviews and word of mouth. Please take a moment to share a testimonial about your experience with Dr. Stokes, his written work, or with having viewed one of his guest lectures or media appearances. Your support is greatly appreciated and will help inform others about the value of what he does. For journalist inquiries, or to inquire about booking Dr. Stokes for a television, radio, or other media program, please email media (at) dashannestokes (dot) com. To inquire about Dr. Stokes' quotes or to request permission to quote Dr. Stokes for an upcoming book, article, program, show, or other project, please email media (at) dashannestokes (dot) com. If you would like Dr. Stokes to speak at your event, please use this form or visit his Speaking Page or email speaking (at) dashannestokes (dot) com. For information about copyright, reprints, and permissions regarding the use of DaShanne Stokes' images, likeness, and work, please visit his Copyright and Permissions page. 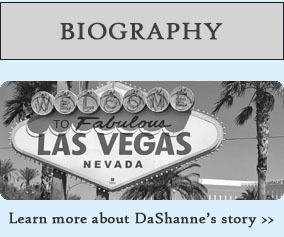 For answers to some of DaShanne Stokes' most frequently asked questions, please visit his FAQ page.